This third-grade star can take anything from duct tape to glitter glue and create something incredible. But even with all that creativity, Finley has a major problem: her best friend, Henry, is about to turn nine, and she has no idea what to give him for his birthday. The school cook-off could be the perfect solution, but it’s hard to come up with something original and tasty. As one crazy concoction leads to another, Finley discovers that cooking is just like the rest of life — things don’t always turn out as planned, and friendship is the real prize. Find out more about Finley and download printable activities. 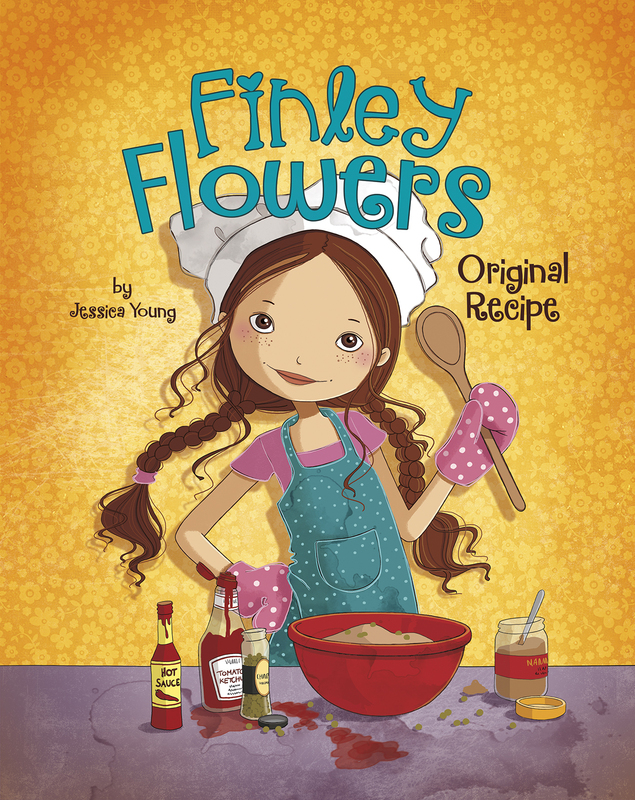 Order FINLEY FLOWERS — ORIGINAL RECIPE by clicking one of the links below. Summer is here, and Finley is heading to Camp Acorn! She can’t wait to make crafts, eat s’mores, and prove that she’s tough enough to get back to nature. Unfortunately, she’ll be sharing a cabin with Olivia Snotham, who’s not exactly the outdoorsy type. When nature calls and the girls get lost on the way to the restrooms, Finley’s spooky ghost story comes back to haunt them. As they work together to find a creative way home, Finley discovers that there’s more than one way to be tough. 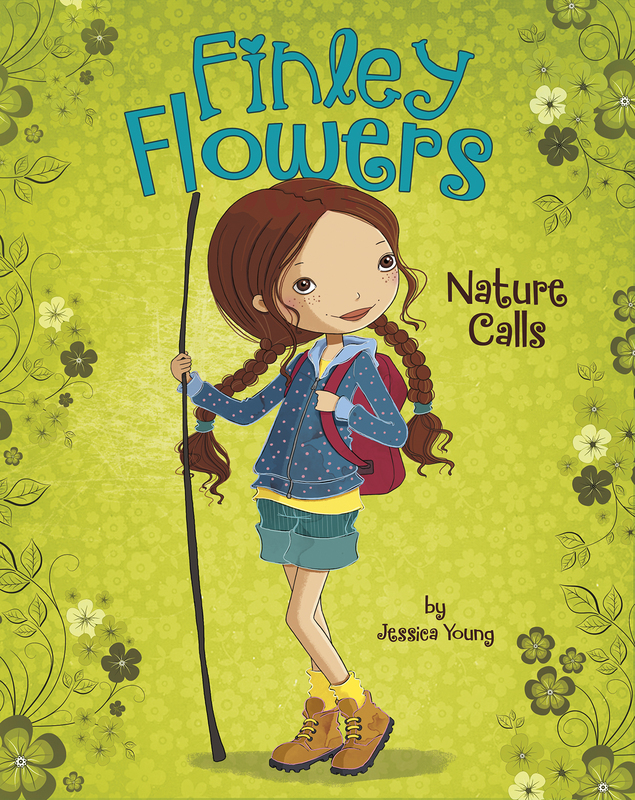 Order FINLEY FLOWERS — NATURE CALLS by clicking one of the links below. Finley is excited to create something great for her class Invention Convention—thinking up new ideas is her thing! But when the prototype of her Supersonic Sibling Sublimator fails, Finley discovers that everyone could stand to lighten up a bit. Starting over, she creates a hilarious device guaranteed to make people laugh more and live longer. Will her entertaining invention work on the super-serious invention judges? 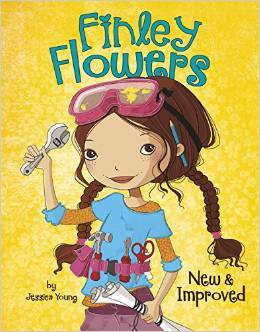 Order FINLEY FLOWERS — NEW & IMPROVED by clicking one of the links below. Finley can’t wait for the class field trip to the art museum. After all, she’s always painting and gluing and snazzifying and glitterizing. When Mr. Spark assigns a group project based on the question: What is art? Finley figures it’ll be a snap. But the more art she sees, the more mixed-up she gets, and her group can’t seem to agree on what to do. As Finley and her friends learn to work together, they discover the power of art and make their mark in a Fin-tastic way. 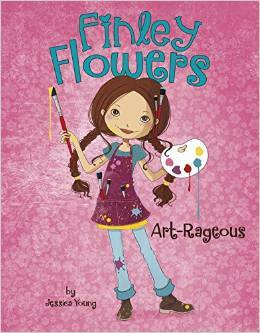 Order FINLEY FLOWERS — ART-RAGEOUS by clicking one of the links below. Finley’s creative skills are put to the test when a morning mix-up leaves her costume-less for the class Halloween party and parade. While eating lunch in the cafeteria, Finley and her friends are inspired to create a new fashion fad with a mission. When Finley’s next-door neighbor needs a last-minute pet sitter, it seems like the purr-fect opportunity for Finley to prove she’s ready for a pet. But she soon learns that taking care of a pet isn’t all cuteness and cuddles. It’s time for Finley’s class to vote on a service-learning project, and Finley has a Fin-tastic plan — a class garden! But after days of watering and waiting, Finley and her friends start to wonder if the seeds they planted will ever sprout.